Zilco prides itself on providing good quality products and ensuring our customers are happy with their purchase. The item is in saleable condition - unworn, unused, with all sealed, original packaging and/or tags attached. The item has not been purchased as part of a "Clearance Sale", "Discontinued Line", or "Factory Second"
We will not refund any original postage where you have changed your mind, and will not accept any responsibility for goods lost in return transit. If you wish to exchange your goods for a different size/colour/style, please complete a new order online. Freight will be charged at the regular rate for the replacement goods. We have procedures in place to ensure all orders placed are supplied correctly every time. In the event that the product you ordered and paid for is not what you receive, you may return your item(s) for refund or exchange. We understand that items are sometimes needed urgently for a specific event or occassion. If you would like your replacement goods supplied immediately, we are happy to send it before we receive the incorrect item back. Please note: We will invoice and charge you for the item (freight free) for the item being sent in advance. A refund for the incorrect item and return freight will be processed as soon as we receive it. At Zilco, we take pride in the materials, design and workmanship of our products. All items are extensively tested to ensure they are fit for the purpose for which they were designed. 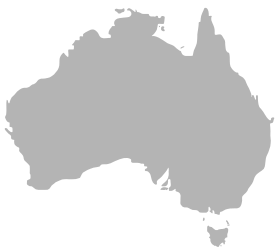 Under Australian Consumer Law, you are entitled to a refund or replacement for a major failure. You are also entitled to have the goods repaired or replaced if the goods fail to be of acceptable quality and failure does not amount to a major failure. If the failure is minor, we reserve our right to offer to repair the item only. Please note that Australian Consumer Law does recognise that the relevent time period to claim on a faulty product varies by the product and its nature, the price paid, and any representations made about the goods. For example, a product that has been designed for short term use could not be deemed faulty if it failed after long term use. Where an item has been damaged through misuse, tampering or abnormal use, we will not provide a refund, exchange or repair. In this instance, if you require the product returned, we will charge you for the cost to return the item to you. We reserve the right to refuse the return of a product in the event we believe it raises safety concerns. Where an item has been sold as a "Custom" product, we will only accept return due to defect or fault. These items may include, but are not limited to custom printing, embroidery and any other made to order items. Where an item is sold as a Factory Second, we will disclose the nature of the defect at the time of sale. In this case we will not accept any return or exchange due to defect or fault. We will evaluate your request and respond via email within 3-5 business days. Should we agree to accept your return, we will provide you with an RA form and reference number, together with instructions on how to send the item back.